Jackfruit trees are as common as coconut trees in Kerala .Almost every house in Kerala has one or more jackfruit trees. I remember my childhood days,whenever we visited grandma,grandpa during summer vacation ,we were pampered with plenty of raw,ripe or cooked jackfruits delicacies . Some melted in mouth,others were kind of tad crunchy yet juicy to eat ..mmmm...yummy...However,there was/is something which would be an obstacle while enjoying those jackfruit pieces - the jackfruit seeds .They are like like ants in heaven ..I mean like the Malayalam saying ,"Swargathil katturrumbu" or "Kabab mein haddi" in Hindi. 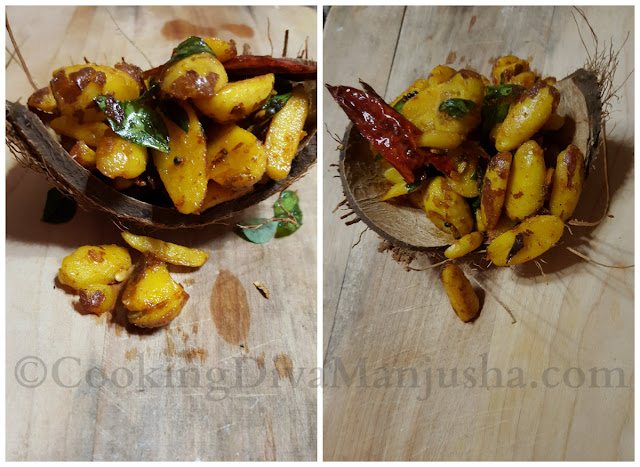 I remember, my grandmaa or maa or aunts removing one by one all seeds and giving us the jackfruit to eat happily.Even though I hated those jackfruit seeds then and I would even secretly throw them out,I loved them whenever,a special stir fry using these jackfruit seeds was made at home . 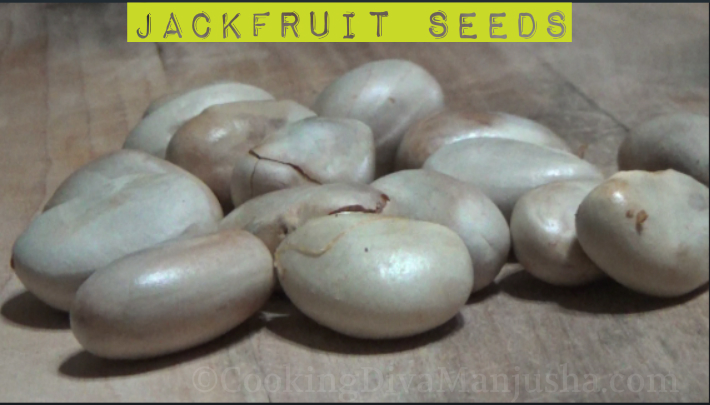 I have also showed in the video below how to clean and cut those jackfruit seeds properly . Jackfruit seeds/Chakkakuru/Khathal ke beej - 10-15 Nos. Jackfruit is a complete nutritious fruit in and out . The jackfruit seeds is nothing less and is filled with essential vitamins ,proteins,carbs and fiber . 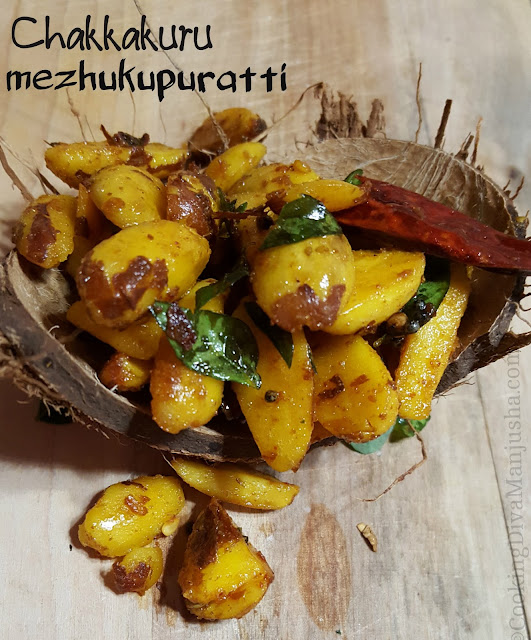 Jackfruit seeds can keep skin,eyes and hair healthy.These little seeds are filled with flavanoids,phytochemicals and anti-oxidants ,which can help in keeping even cancer at bay. According to a research by Food Science and Food Safety ,jackfruit seeds have antimicrobial properties which helps in fighting against any food borne bacteria/illness.Traditionally,these seeds were used to treat indigestion or diarrhea . Did you know that beet greens/beet leaves carry more vitamins,minerals and fiber than beetroot (except folate vitamin) ? I didn't ..as always.. 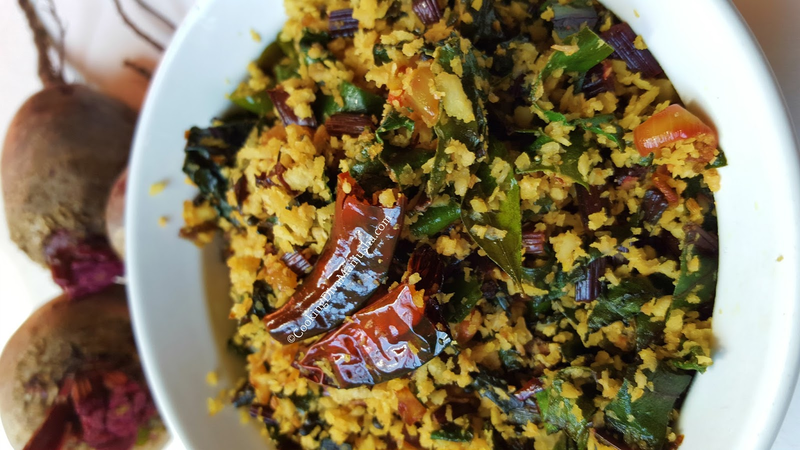 However, the moment I saw those Beet leaves, I knew they are gonna become one of my favorite leaf recipes..No kidding here ..
Beet greens are loaded with high Vitamin A,Vitamin C,Calcium and Iron. Beet greens have higher iron content than spinach . 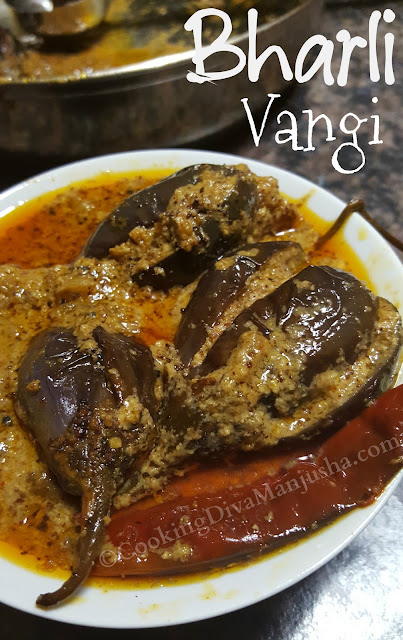 They, just like beetroots are excellent blood detoxifier and body energizer. Beet greens have shown to increase blood supply to brain , thereby reducing age related diseases like Dementia,Alzheimer etc . Beetroot leaves juice can prevent acnes/pimples ,wrinkles and give a healthy glow to the skin . 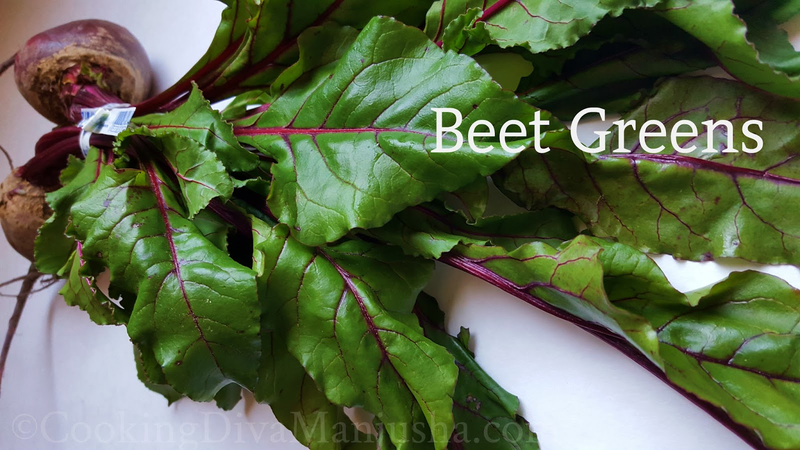 Beet greens promotes hair growth and fights against dry,itchy scalps. For me they taste just like red spinach leaves if not better .I totally love it ,more than the beetroots itself and after reading all those health benefits of beet greens I think I may leave beetroots but not beet greens...These leaves are quite forgiving and can adjust into any tasty recipes. Green chillies,chopped - 2-3 nos. Garlic cloves (big) - 1 no. Broken red chillies - 2-3 nos. Method:Please watch my video that will show you how to make beet green/beet root leaves stir fry Kerala style properly. 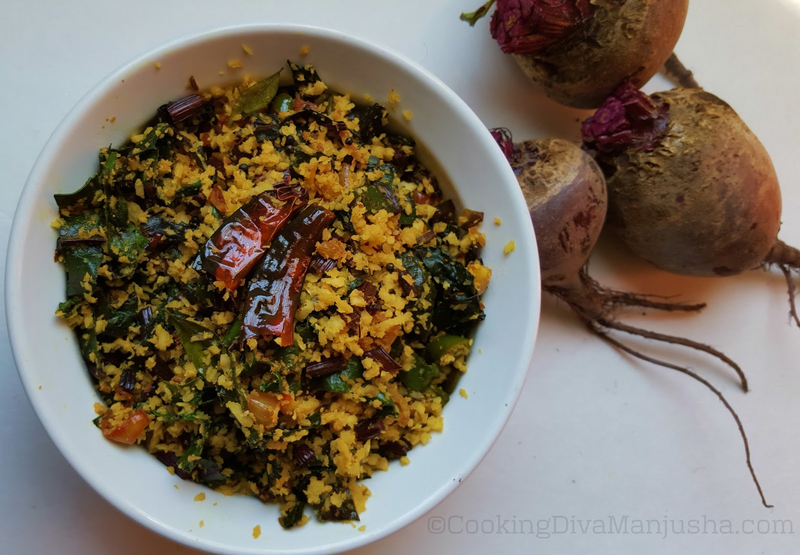 Do try this easy and simple beet greens recipe with boiled rice,any spicy curry or chapathi,roti etc..
Kottayam is one of the popular city in Indian state Kerala. It is the pioneer of English educational center in South India and the first Malayalam printing press in Kerala and hence is popularly known as "AksharaNagari" meaning "Land of Letters" . Fish Fillets,cleaned,cut and slit (I used Pomfret)- 6 nos. Garlic,chopped lengthwise - 5-6 nos. Green chillies,chopped - 2 nos. 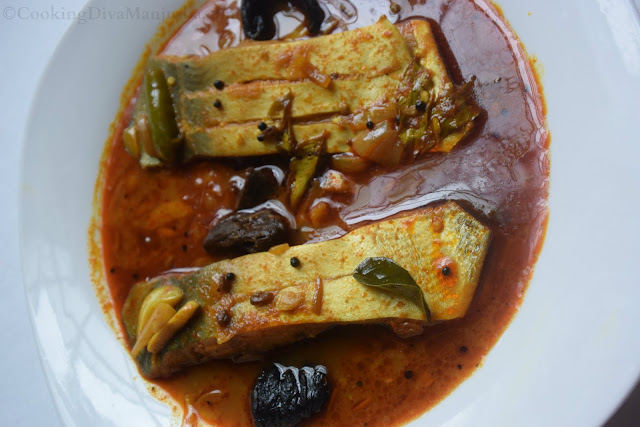 Method:- Please watch the video that will properly guide you how to make this fish curry . Note: If the Gambodges are small pieces ,take up to 5 nos. 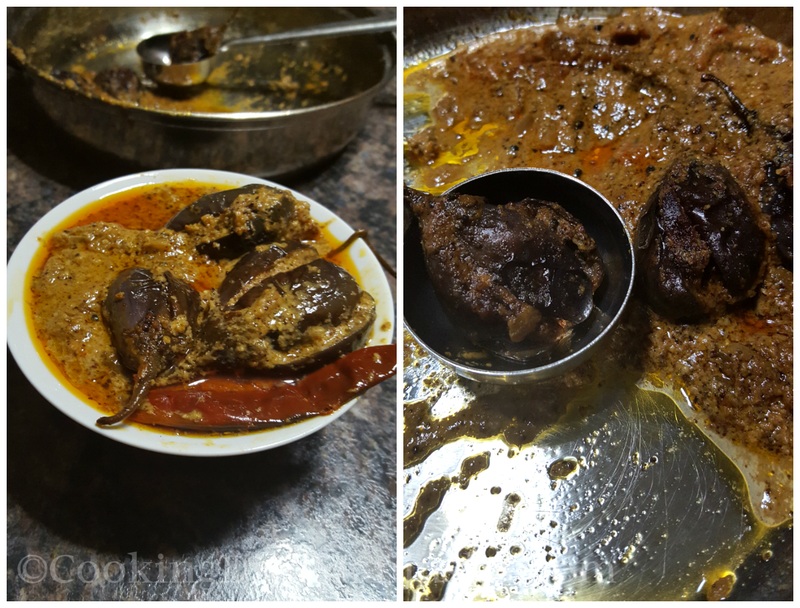 max only ,too much of this fish tamarind will make the curry too sour to eat. 2. 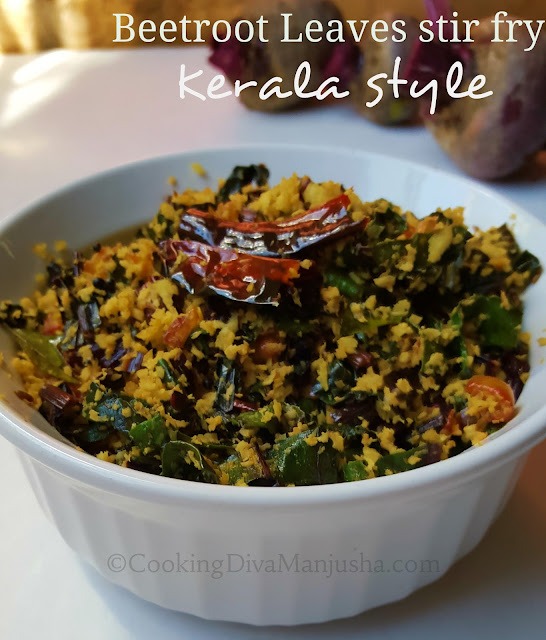 For authentic Kerala taste use only our Indian unrefined coconut oil.Any other oil will give a different taste . 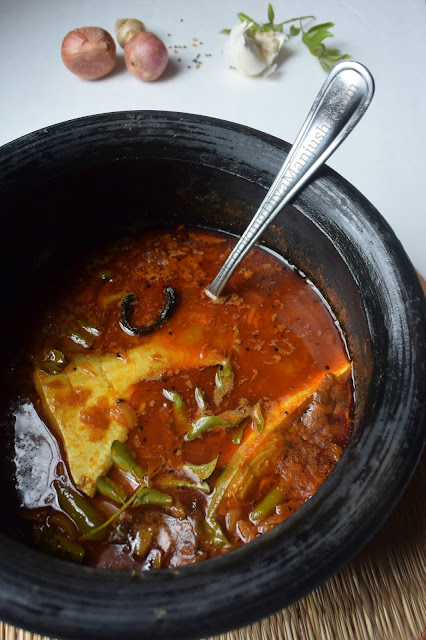 3.More this curry sits,more tastier it becomes. 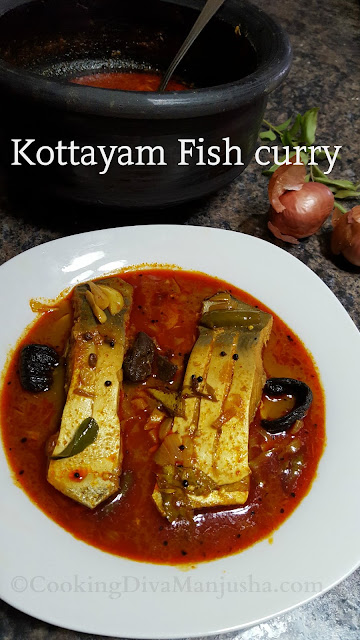 If you are a spicy seafood lover,you got to try this fish curry Kottayam style especially with our famous Kerala Tapioca recipes or simply boiled rice and any side-dish.